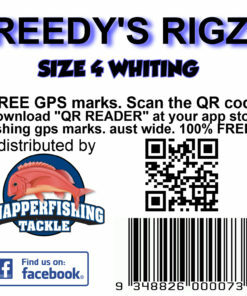 This Flasher Rig Can Be Purchased In single Or Value Packs Of 5 , 10 , 15 , 30 Packs of fishing rigs with custom Designs . 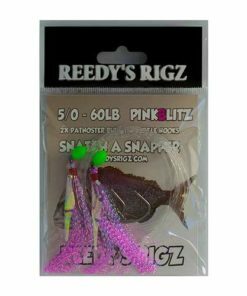 Pink ” Fly ” Rig Rigged on 20lb Leader . 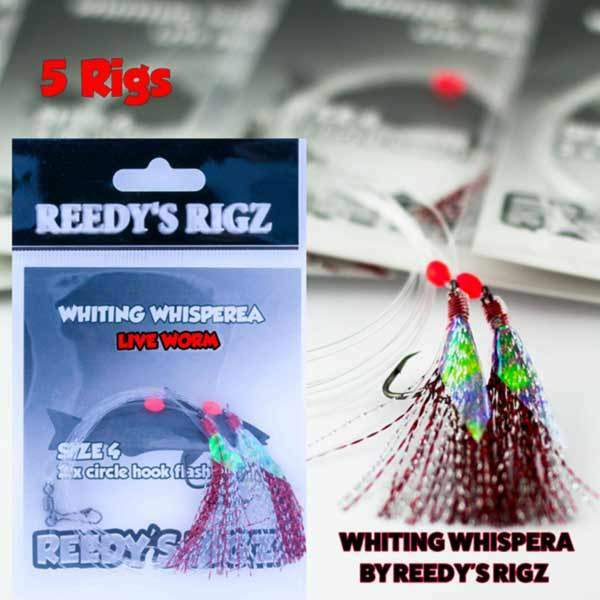 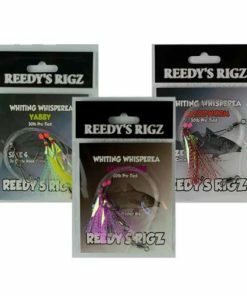 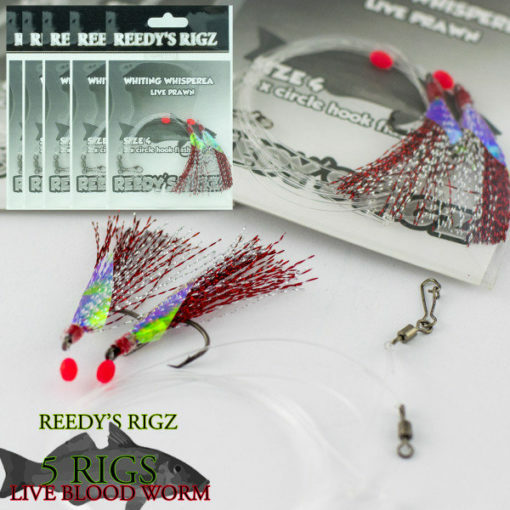 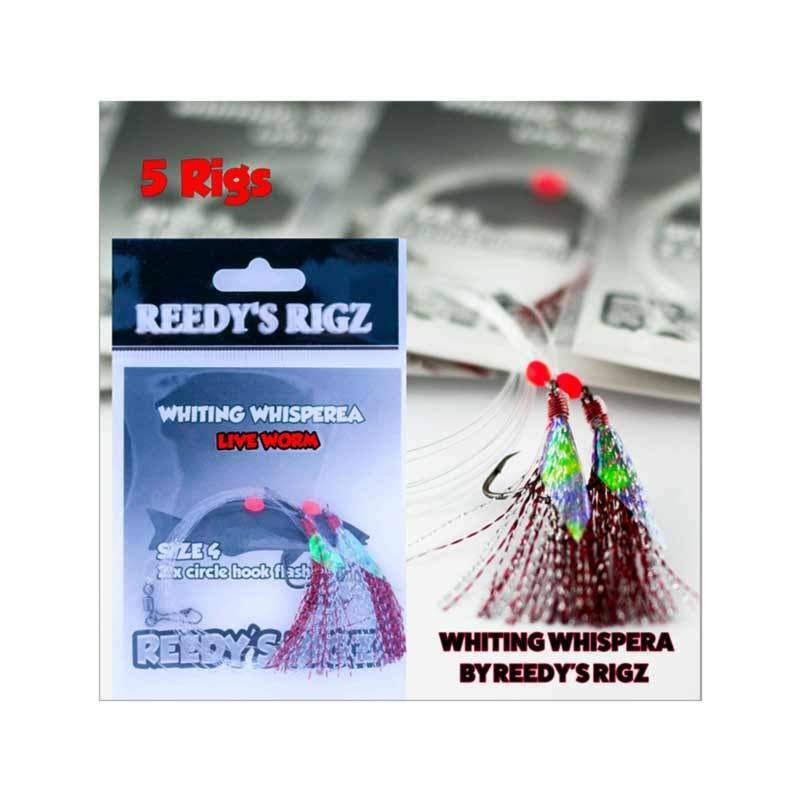 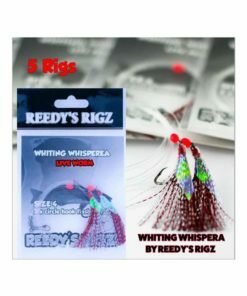 Whiting Rigs – New Fishing rig Model Bloodworm By Reedy’s Rigs Is a new type of Whiting rig in a Paternoster Format . 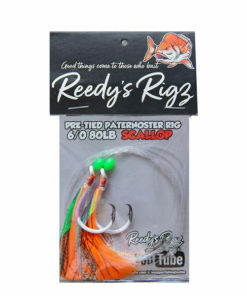 That feature A Sinker Clip And is Rigged on 20lb Leader . 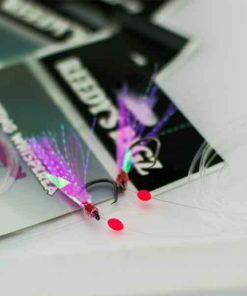 Tied on a Paternoster . 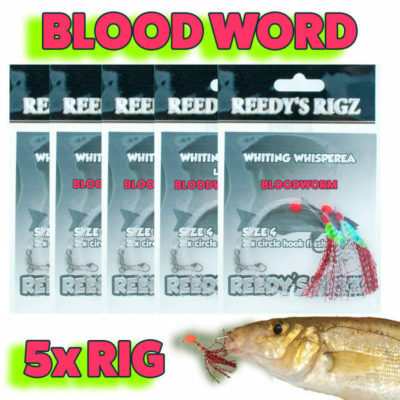 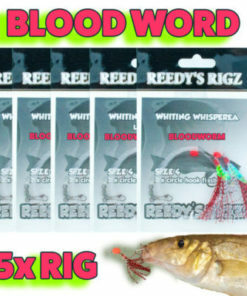 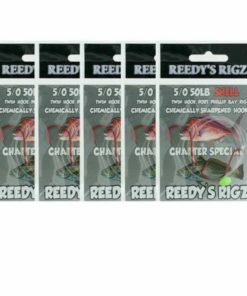 The new Bait Flavor “Blood” worm is Made Original By Reedy’s rigz . 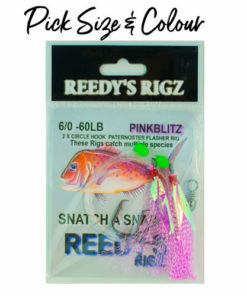 It Is Rigged with a red & Silver Flasher To Target some of the Smaller Fish you might find in the Ocean . 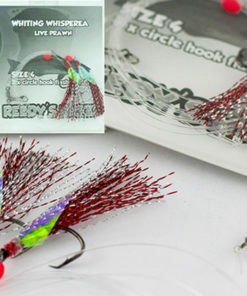 It also features Fine gauge Circle Hooks which are of the finest Quality . 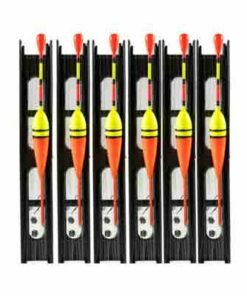 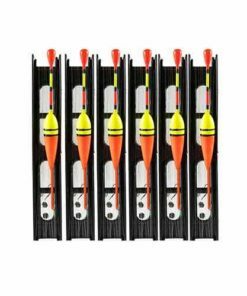 We Have Tested these rigs on many fishing charters & are the go to rig when fishing For whiting Mullet Bream and many other small fish . 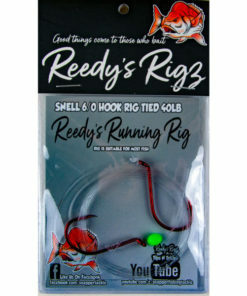 The fishing rig is ready to fish tie your rig on & hook the Sinker Clip on and your fishing .the rig can be used from your boat or Pier side Easy to use and no need to tie on sinkers . 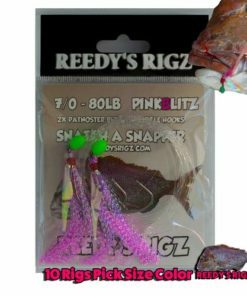 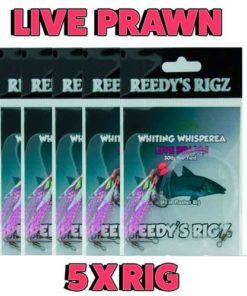 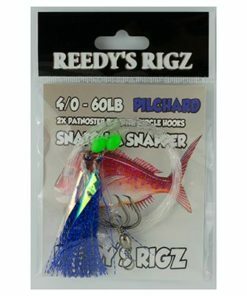 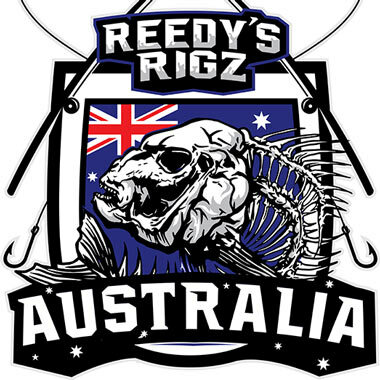 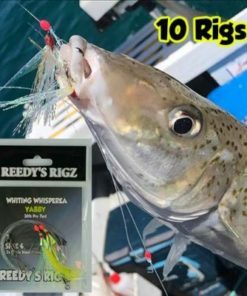 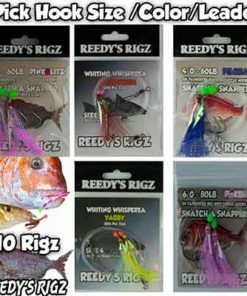 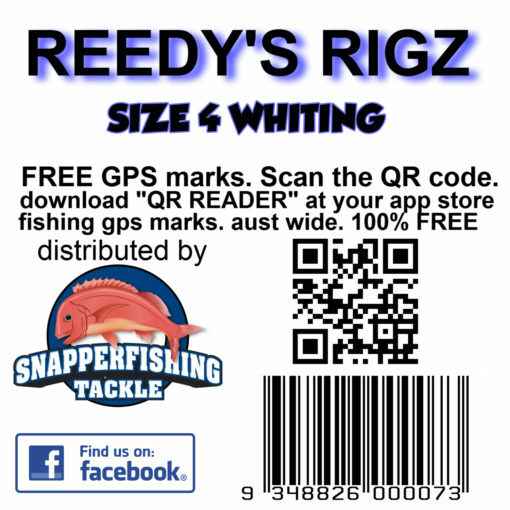 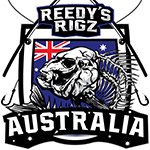 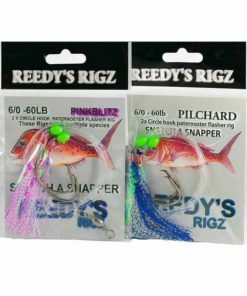 Fising rigz by Reedys Rigz new and exciting product which is a newly designed rig to catch whiting Bream Flathead and other fish in that size class. 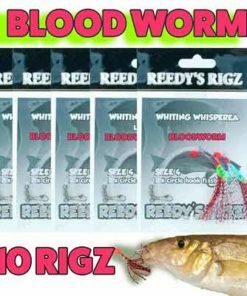 A “live Blood Worm” Bait lure intimation helps you get the most out of your fishing rig ultimately Helps you catch more fish ! 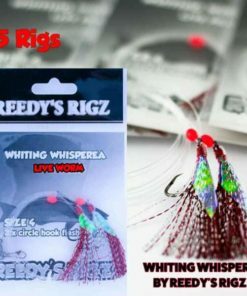 Just like a snapper Flasher Rig these rigs absolutely smash whiting the fish lovem .